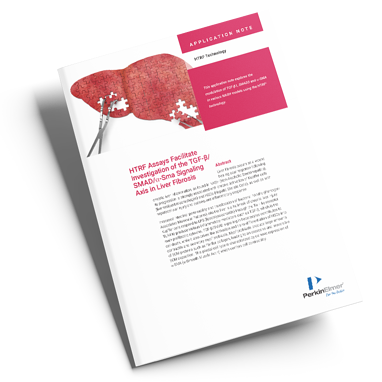 Discover the benefits of using HTRF assays to characterize liver fibrosis. Several molecular markers have been investigated as possible factors in the progression of non-alcoholic steatohepatitis (NASH) towards liver fibrosis. The TGF-b/SMAD/α-SMA pathway has a crucial role in this progression and has emerged as an important therapeutic target.